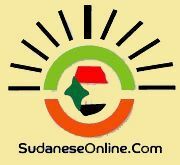 Sudanese opposition sources said that (7) people were killed during demonstrations in the capital of Al-Gezira State, Wad Medani, on Sunday and Monday protesting against the Government's decision to increase fuel prices and some basic materials. Sudan Change Now, a movement established by young activists in 2010 to change the regime, said in a statement on Tuesday that the security forces and police and civilian militias belong to the ruling National Congress Party (NCP) had dealt violently with the peaceful protests which led to killing of (7) civilians and a large number of casualties. The anti-Government demonstrations started in Wad Medani Wad and spread in Omdurman and parts of the Sudanese capital, Khartoum. The high schools students marched and protested in Omdurman and took to the streets demanding topple of the regime of Omer Al-Bashir regime. Sudanese authorities deployed reinforcements of police and security services, particularly in areas with high population density, such as markets and some neighborhoods as well as strategic areas. The authorities have arrested (103) people on the background of demonstrations took place Monday and were brought to trial. Two people were killed in Wad Medani in clashes between security forces and demonstrators according to activists. Khartoum's government almost doubled prices for fuel and cooking gas on Monday to bring its budget under control. Sudan lost three-quarters of its oil reserves - its main source of revenues and of dollars for food imports - when South Sudan became independent in 2011. The government started reducing some fuel subsidies in July 2012. Several weeks of small protests ended with a security crackdown. It had hoped to sustain the remaining support by boosting gold exports to replace oil revenues, but was thwarted by the recent fall in global gold prices.